Quip (Android/iPhone/iPad) - Gorgeous word processing and collaboration ~ Android Forever! Developer Quote: "Quip works on the desktop (PC and Mac), iPhone, iPad, iPod Touch, and Android. 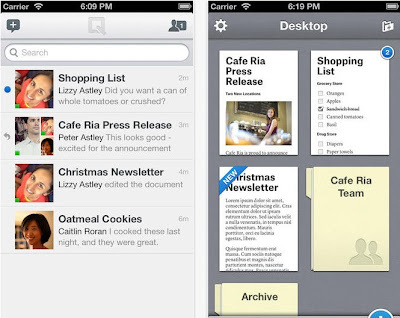 Wherever you are, whatever device you are using, you can use Quip."